The Georgia Trustees visited the first group of settlers on November 16, 1732, the day before they were scheduled to depart England for the New World. On November 17, 1732, the first English headed to colonize Georgia set off from Gravesend, England, down the Thames. Their supplies included ten tons of beer. On November 16, 1737, the Georgia Trustees learned that England’s King George II would send 300 soldiers, along with 150 wives and 130 children to the settlement in Georgia. On November 17, 1777, Congress submitted the Articles of Confederation to the states for ratification. 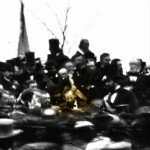 Abraham Lincoln began the first draft of the Gettysburg Address on November 17, 1863. 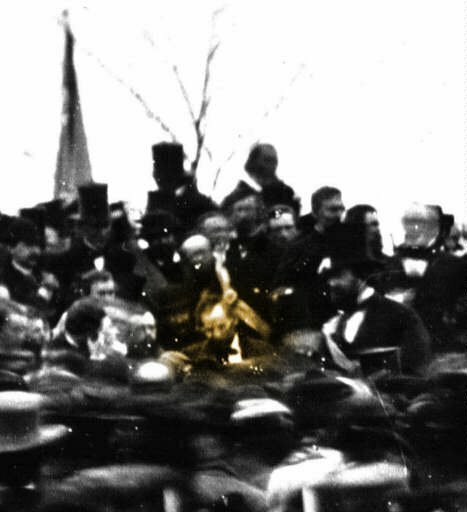 Abraham Lincoln traveled to Gettysburg, Pennsylvania on November 18, 1863. On November 16, 1864, Sherman left Atlanta in smoking ruins. A 2010 Wired article argues that Sherman’s rampage through Georgia and the Carolinas changed modern warfare. Carl Vinson was born on November 18, 1883 in Baldwin County, Georgia. At noon on that day, U.S. and Canadian railroads implemented four time zones for the first time. Mickey Mouse debuted in a black-and-white film called “Steamboat Willie” on November 18, 1928. On November 18, 1933, Franklin D. Roosevelt traveled from Washington, DC to Savannah, Georgia by train for Georgia’s Bicentennial and delivered a speech at Municipal Stadium. Herman Talmadge was sworn in as Governor of Georgia on November 17, 1948, ending the “Three Governors” controversy. Click here for a review of the “Three Governors” episode by Ron Daniels. Carl Vinson was honored on his 81st birthday in Milledgeville, Georgia on November 18, 1964; Vinson did not run for reelection in 1964 and retired after 50 years in office. Richard Nixon declared before a television audience, “I’m not a crook,” on November 17, 1973. President Richard M. Nixon flew into Robins Air Force Base for Carl Vinson’s 90th birthday on November 18, 1973; on the trip he announced the next American nuclear supercarrier would be named USS Carl Vinson. On November 18, 1989, Pennsylvania Governor Bob Casey signed the Abortion Control Act, the first abortion restrictions enacted after Roe v. Wade. The Georgia State House convenes today at 11 AM for Day Four of the Special Session. The House Short-Term Rental Providers Study Committee will meet at 11 AM in Room 403 of the State Capitol. The House Appropriations Subcommittee on Public Safety meets today at 1:30 PM in Room 606 of the Coverdell Legislative Office Building. The Senate Appropriations Committee met this morning, beginning at 8:30 AM in Room 341 of the State Capitol. The Senate Finance Committee met this morning in Room 341 of the State Capitol. The Georgia House of Representatives passed legislation devoting a total of $470 million to Hurricane Matthew relief. From the Statesboro Herald. “There’s a lot of individuals – thousands of individuals – who will be touched by what we do here,” said Rep. Terry England, R-Auburn, who chairs the House Appropriations Committee. The timing of the aid is key, said Rep. Sam Watson, R-Moultrie, who had major losses on his vegetable farm. Hurricane Michael slammed into southwest Georgia a month ago. “This is devastation,” said Rep. Darlene Taylor, R-Thomasville. “But we have only seen the beginning. This is going to be generational to be repaired. “There is no cotton to gin. There is no timber to mill. These are jobs that south Georgians have. This impact hasn’t hit yet,” Taylor said. “I view this as a beginning and not an ending,” said House Speaker David Ralston, R-Blue Ridge. The State House also voted to approve legislation affirming Governor Deal’s Executive Order suspending the collection of sales tax on jet fuel, according to AccessWDUN. The tax break for airlines passed the House 141-18 on the third day of a special legislative otherwise focused on aid to the large swath of southern Georgia devastated by Hurricane Michael. The fuel tax got added to the agenda because Gov. Nathan Deal had salvaged it with an executive order over the summer. The law requires legislators to ratify that order now that they have been called back into session. Deal and other supporters say Georgia needs to exempt jet fuel from sales taxes for its airports including busy Hartsfield-Jackson International Airport in Atlanta to remain competitive with other states that have eliminated the tax. But Republican lawmakers in February cut the jet fuel exemption from a broader tax bill. That happened when Lt. Gov. Casey Cagle, who presides over the state Senate, called on legislators to punish Atlanta-based Delta for ended fare discounts to members of the National Rifle Association following the deadly school shootings in Parkland, Florida. The Gwinnett County Board of Elections certified vote totals, according to the Gwinnett Daily Post. Nine days after Election Day, Gwinnett County’s elections board certified the county’s results from the general election Thursday — after adding more than 570 additional ballots to the final tally. Gwinnett had been the last county in the state to certify its results from the Nov. 6 general election, according to a map from the Georgia Secretary of State’s Office website. The county has been under an order from a federal judge to count additional absentee ballots that had previously been rejected because of birth date mismatches. In all, 572 ballots were added to the results from the county Thursday before the elections board certified them. That included 444 absentee ballots covered by the judge’s order, as well as 113 overseas ballots and 15 provisional ballots. One race where the final results from Gwinnett were watched particularly closely was the 7th Congressional District race between Republican incumbent Rep. Rob Woodall and Democratic candidate Carolyn Bourdeaux. After the results were certified, Woodall’s lead over Bourdeaux was 419 votes, down from the 533-vote lead he had after Gwinnett’s initial cache of provisional ballots was factored in Tuesday. That number itself was down from the 901-vote lead Woodall had at the beginning of the week. “With both counties from the 7th District having certified their election results, I am excited and humbled that the citizens of Georgia’s 7th Congressional District have put their faith in me once again to represent them in Congress,” Woodall said in a statement. Stacey Abrams’ campaign and legal team is preparing an unprecedented legal challenge in the unresolved Georgia governor’s race that could leave the state’s Supreme Court deciding whether to force another round of voting. Barring successful legal action, the secretary of state could certify the election as soon as 5 p.m. Friday and cement Kemp’s victory in the tightest race for Georgia governor since 1966. The latest tally showed Abrams is roughly 55,000 votes behind Kemp — and in need of more than 17,000 votes to force a Dec. 4 runoff. 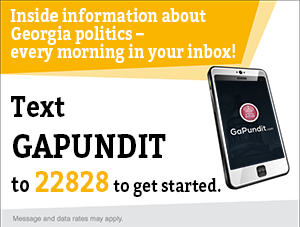 Georgia law requires a runoff if no candidate gets a majority of the vote, which is only a possibility because a third-party contender netted about 1 percent. Abrams’ campaign has long tried to make the case that Kemp used his role as secretary of state to suppress the vote. But to have a chance in court, Abrams would have to definitively prove there were enough Georgians blocked from voting to close the gap. Her campaign has said it has heard from 25,000 voters who had problems casting their ballots, but several of those voters it has made public have still been able to vote. It has not produced a list of Georgians who were unable to vote. More women candidates were elected nationwide than any previous year, according to the Statesboro Herald. At the state level, at least nine women will be governors, tying the record set in 2004 and 2007. House District 14 voters will go to the polls on December 18, 2018 in a Special Election to fill the vacancy created when former State Rep. Christian Coomer (R-Cartersville) was appointed to the Georgia Court of Appeals, according to the Rome News-Tribune. The district covers the southeast corner of Floyd County and the northern half of Bartow. Unregistered people who wish to vote must be registered by Monday to cast ballots in the election, according to Shawn Balcomb, assistant press secretary to the Georgia secretary of state. Balcomb said the election is to replace Christian Coomer, who was unopposed for re-election but withdrew Oct. 31 when he was sworn in as a judge on the Georgia Court of Appeals. It’s billed as a special Republican primary election and the winner will take the seat. “The primary is the special election,” Balcomb said. The unusual designation reflects the unusual circumstances. Brady said the state law behind it is complicated, but it’s because no one qualified to run against Coomer in the primary and no Democrat ran for the seat. “You have a single Republican qualifier who did not make it to office, so we need to re-do the primary,” Brady explained. Brady said it’s a new primary, so any registered voter in the district will be able to participate even if they didn’t vote in the earlier primary. Georgians don’t register by party, so those who chose a Democratic ballot in May are free to vote in the upcoming Republican contest. Some Glynn County property owners who are suing over property taxes filed a motion to enjoin collection, according to The Brunswick News. The Georgia Court of Appeals ruled on a class action lawsuit in January, stating Glynn County had been overcharging around 7,500 residents on their property taxes by incorrectly applying their homestead exemptions. If a property owner is granted the Scarlett Williams homestead exemption, their property taxes are calculated based on their property’s assessed value for the year they were granted the exemption, called the base year. In three companion civil cases filed in 2012, 2013 and 2014 — certified as a class-action in 2015 — residents claim the county selected the wrong base year. Jay Roberts, the lawyer representing the residents, claimed in March the county had overcharged the 7,500 landowners by $15-17 million in total. The court of appeals did not rule on the plaintiffs’ request to seek refunds on taxes paid outside the three-year window allowed by state law, however. Roberts filed a motion in Glynn County Superior Court on Friday requesting a preliminary injunction preventing the county from collecting 2018 property taxes from members of the class. If the taxes have already been collected, the motion asks the court to prevent the county from spending the money. 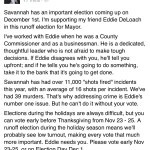 Savannah Mayor Eddie DeLoach has proposed a $399 million dollar budget and no change to the property tax millage rate, according to the Savannah Morning News. The city’s proposed $399 million spending plan for 2019 is essentially flat with last year’s budget when taking into consideration the elimination of the fire fee and drop in costs and county reimbursements resulting from the demerger of the Savannah-Chatham police department this year, according to Melissa Carter, Office of Management and Budget director. As presented Thursday, staff is proposing to retain the existing property tax rate, which was increased from 12.48 to 13.40 mills in June to help make up for the loss in revenue that was expected from the fire fee. Property owners could still get some relief, however. The Savannah City Council directed staff to present some options with a reduced tax rate at Friday’s workshop. However, City Manager Rob Hernandez said a decreased rate would result in less funding for projects and services.